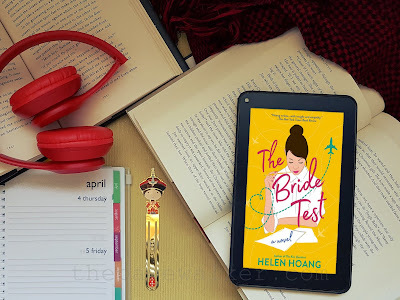 Reading THE BRIDE TEST made me realize that I have not had a romance novel for quite some time now. It was absolutely refreshing and exciting. I now understand why readers are raving about Helen Hoang. Imagine yourself as a provincial bred girl who spent your life crammed in a single-spaced dwelling, trying to make ends meet by scrubbing toilets; then, you are literally commissioned to play the vixen and seduce a well-educated and rich hunk of a man from across the globe. Here begins Esme's adventure to hook and secure her future. Kai is in the spectrum and has difficulty forming any passionate relationship. Esme, on the other hand, is patient and charming. I like how Kai and Esme bounce off each other a lot but manages to compromise every time. There's just a right amount of smuttiness to keep the taste buds sated, and was definitely needed for the progression of the story. This book has that ability to keep me in an electrified bubbly state while reading. (I'm not sure if that makes any sense to you, but it does to me.) Spoiler alert: My favorite is the haircut scene. It's the most personal and revealing for me. Romance enthusiasts will take pleasure in this. Preorder your copy soon. *Thank you, Berkley and Edelweiss for the DRC in exchange for this unbiased review.